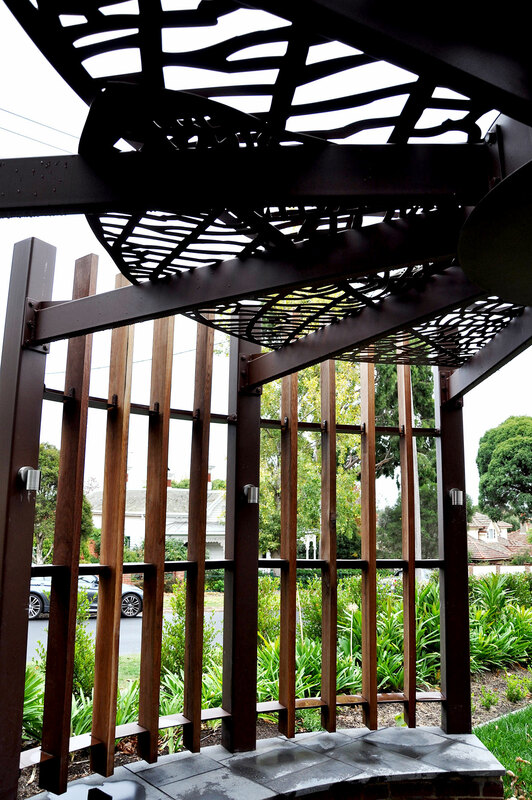 This beautiful period style home in the leafy suburb of Canterbury (Melbourne) underwent a complete landscape transformation. 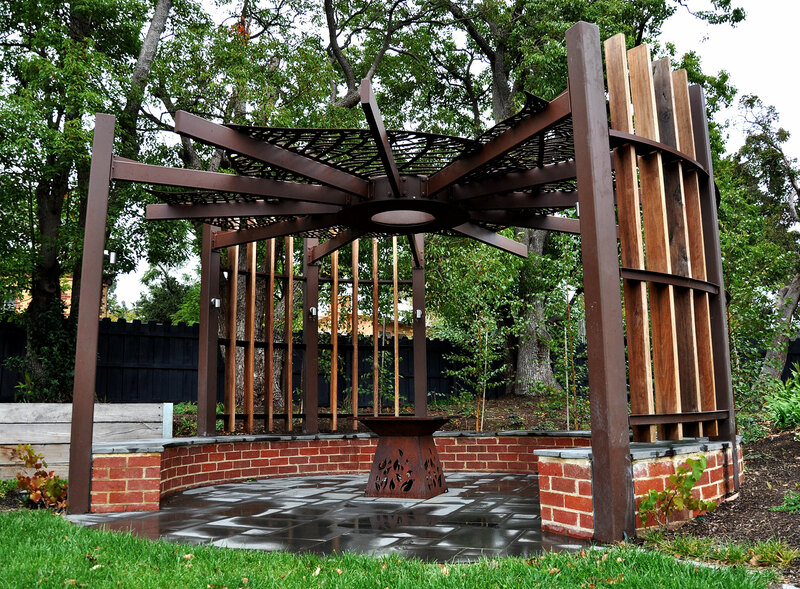 Sitting on a large corner block, the front yard is where the majority of the space is, and we had the pleasure of bringing to life this amazing circular pergola within this space. 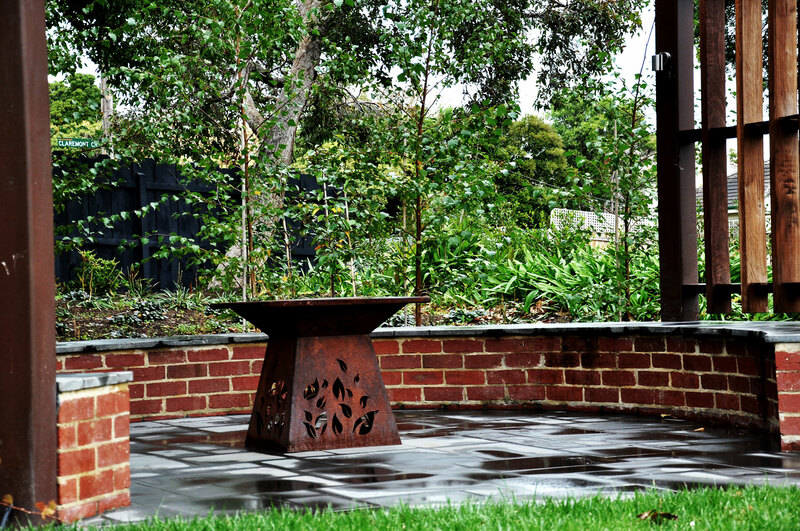 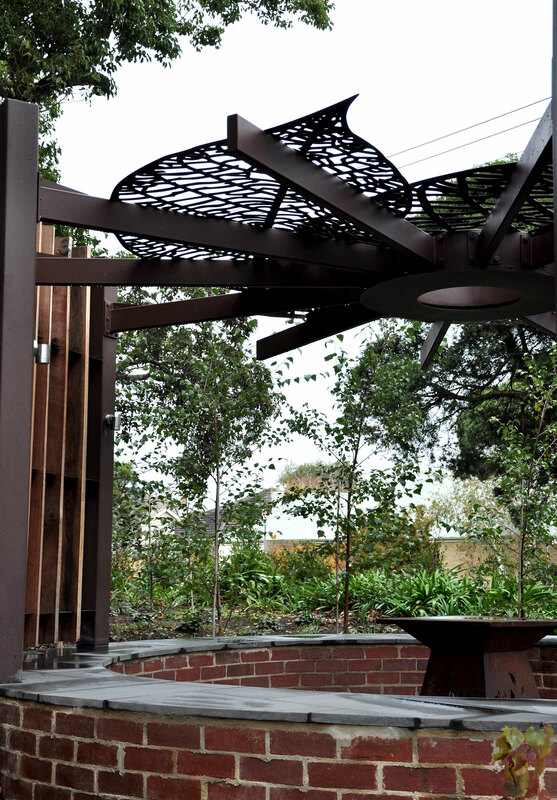 Featuring an engineered steel construction, the central ring has been designed to allow for some of the beams to simply cantilever from the ring, while others are connected to the 150x150mm posts. 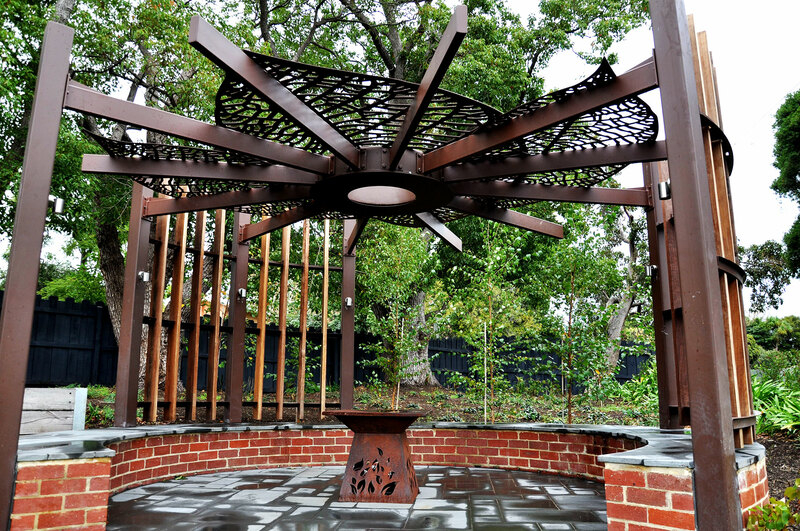 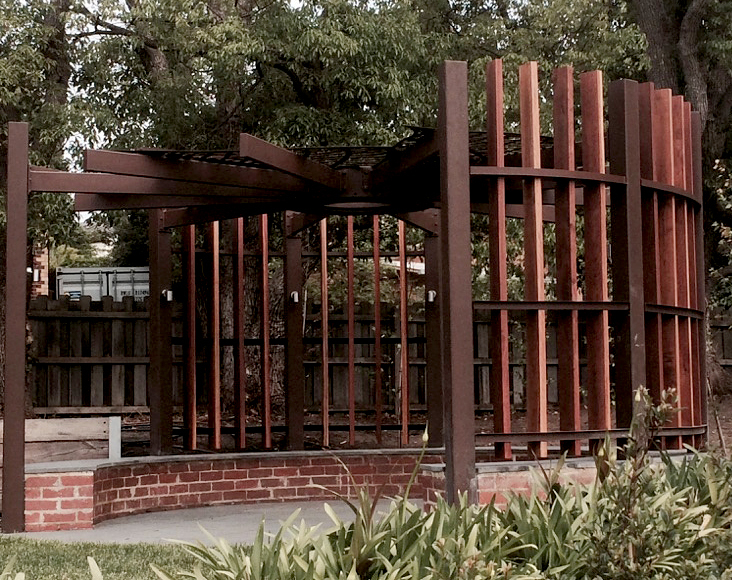 The 150×45 Ironbark vertical timber beams and the decorative laser cut roof panels make this look amazing day or night.